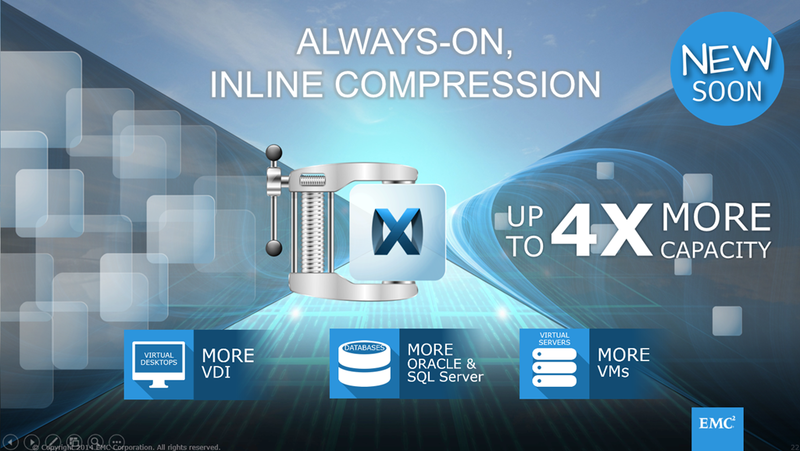 A big part of the 3.0 release was the added ALWAYS INLINE compression and the extra performance boost on the SAME XtremIO hardware. aren’t these suppose to SLOW you down, let alone provide you better performance?? Not for XtremIO, we have the best R&D team I have ever worked with, if you follow my twits, you know that I mean it, like one evening I sent a feedback on a 3.0 beta build and the next morning, a new build with the feature I have asked for was in, that’s agility and that’s EMC letting us work in a “startup mentality” and this is not a joke or a marketing phrase, it’s the way EMC acquire companies. Compression, yea, it’s a big one and like anything else in our product, we deliberately took the time to make it right, if you follow our messaging, we keep saying that the first GA release was about architecture, the corner stones if you’d like on which we can then build new features and boy we did, so compression for us, like deduplication is always on, we do NOT turn off or throttle data services, we don’t want to go back to the old days of unpredicted performance and from a price prespective, this feature is free and will allow you, the customer to reduce the TCO even further by being able to put more VM’s, more DB’s and more VDI vm’s on the same XtremIO array. 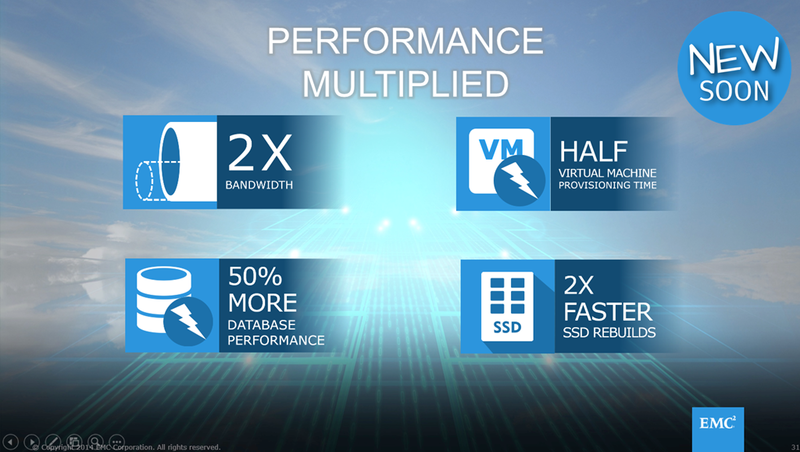 again ,we were able to do the impossible, give you more performance on everything using the SAME hardware, things that are heavily defendant on performance like DB’s (IOPS and bandwidth), now works even faster.